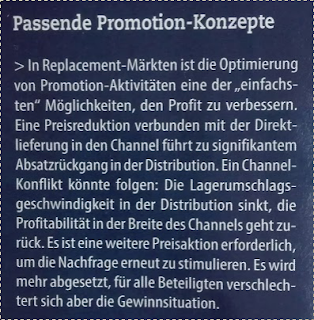 In replacement markets optimization of promotional activities is one of the easiest ways to improve the profit. A price reduction associated with the direct delivery into the channel leading to a significant decline in sales in the distribution. 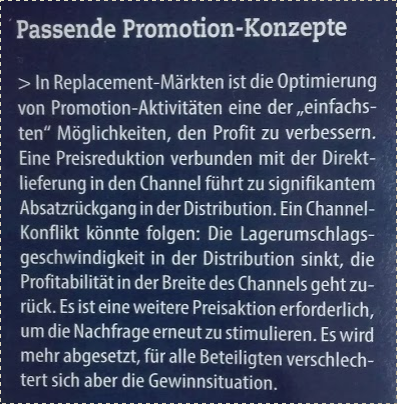 A channel conflict could follow: The inventory turnover in the distribution decreases the Profitabliltät in the width of the channels decreases. It is a further price action required to stimulate demand again. 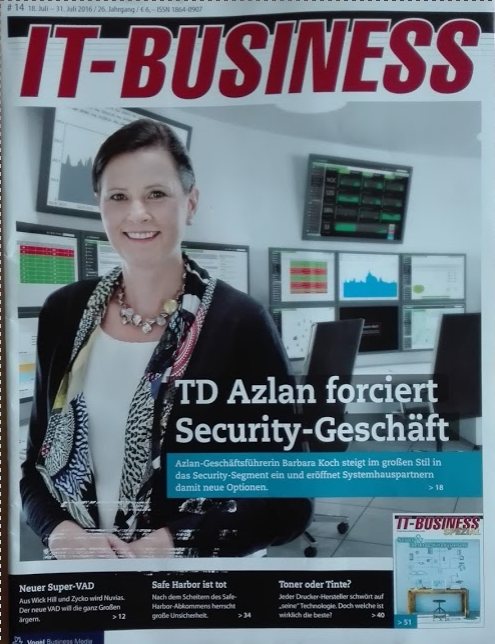 It is more settled, for all concerned but worsens the profit situation.